How To Survive 2 Hands-On: Weekend At Learnies | "DESTROY ALL FANBOYS!" 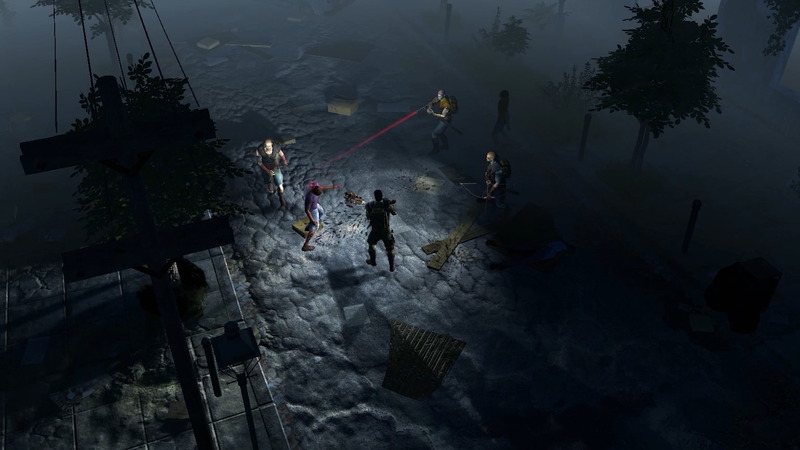 EKO Software and 505 Games have big plans for How to Survive 2 and you just might be able to help them out a bit. The game is set to hit Steam as an Early Access title this month and the feedback from that will help the dev team craft an even better experience than the original. Some hands-on time with a build at 505’s NYC event showed off a new setting (New Orleans), improved character customization, larger maps and the same blend of nail-biting action and offbeat humor that work quite well together. If you’ve ever wanted to face off against poison-spewing pelicans while fighting off a wave of zombies coming at you because you’ve set off a car alarm when you retrieved that car’s battery as part of a quest, well… this game’s got your name on it. While not visual showpieces, both the original How to Survive and the upcoming sequel work their post-apocalyptic vibe wonderfully. Smarter players will be less concerned with eyeballing perfection in every nook and cranny and more on preserving their character’s eyeballs from being chomped on by the assorted undead they’ll need to deal with. The demo had a pre-made hero all geared up and ready to go in a few missions, each featuring a number of goals. 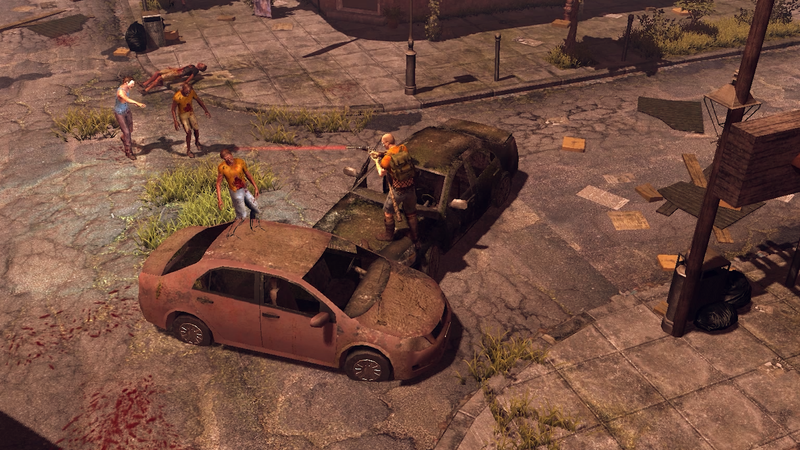 In the map I played, thirty zombies and five zombie dogs needed to be dispatched and the aforementioned car battery needed to be nabbed as primary goals. There was also some guy to track down and speak to, but it seems that part wasn’t mandatory thanks to the build being a work in progress. I wasn’t surprised that there were far more than thirty five enemies on the map, but that damn pelican in the parking lot? Yeah, I laughed at first until is started spewing a fountain of bright green poison from about twenty feet away. Trying to polish off a perturbed poison pelican was pretty problematic using melee attacks as that big bird was tougher than a too old for the farm rooster. The first one was enough trouble (and how! ), but having another pop up later on with a growing herd of zombies finally did my otherwise fine play session no good at all. As with the first installment, HTS 2 is played from a third-person isometric perspective with a mostly fixed camera. There are moments where you get a zoomed in viewpoint such as when you enter zombie-infested buildings or scale a scaffold outside of one. You’ll need to be extra cautious indoors because the AI does things like break down doors and comes after you en masse when alerted. 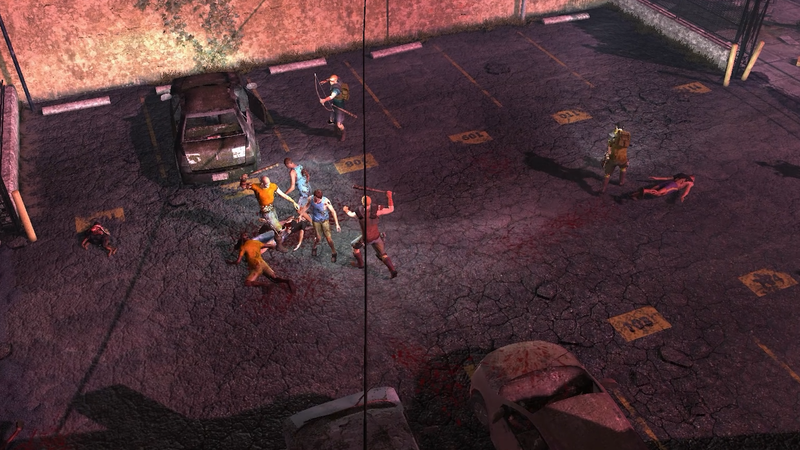 There’s something downright frightening but amusing about seeing multiple zombies tumble off a fire escape before getting up and coming after your poor character. 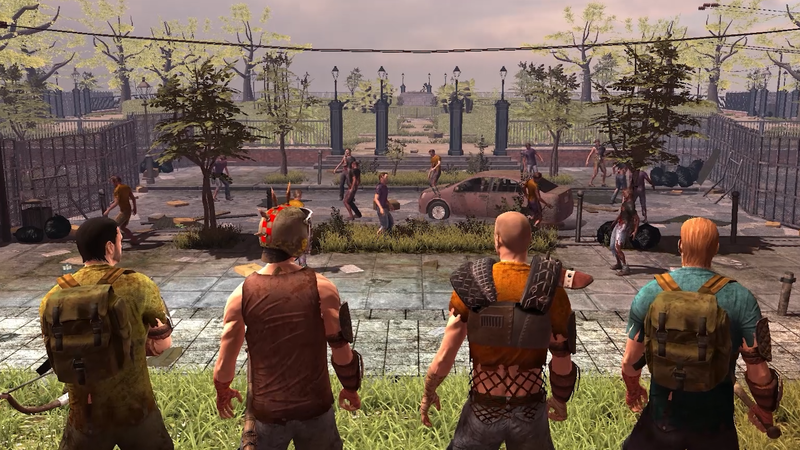 Melee and ranged combat options are at your disposal and as like the first game, swinging for skulls is easier than shooting. Neither game was ever meant to be a run ‘n gun experience, so whipping out your firearm of choice means knowing you’ll need to learn the game’s aiming mechanic and nail that shot every time. As noted above, the Early Access part will assist in getting EKO the feedback to make a superior sequel and there’s no doubt the game’s community will be all over this one like… well, like zombies headed for a just crashed busload of munchable human meat. While no console plans have been officially announced, it’s probably a safe bet that this one will pop up as a digital release for the newer-gen consoles at some point down the road. I would mention that you should keep an eye peeled for How to Survive 2 on Steam Early Access soon (all signs point to around October 22), but some zombie will probably peel that eye for you because you let it get too close. This entry was posted in 2015, Commentary, DAF, Features, Holiday Gift Guide 2015, Humor, Updates and tagged 2016, 505 Games, Coming Soon, Demos, Early Access, Gallery, Hands-On, Horror, Horror Games, How to Survive 2, In Development, Indie Games, PC, PC Games, Screenshots, Shut Up And Play It!, STEAM, Valve, VGA 101, Videogame Appreciation 101, Videogame Trailers by geelw. Bookmark the permalink.